Dental Implants are considered the gold standard for the replacement of a missing tooth or even a series of missing teeth. Implants offer a natural-looking solution that is easy to care for, long-lasting and looks great! Unlike fixed bridges or removable dentures, dental implants will not affect neighboring teeth, won’t lead to the loss of bone support, nor contribute to sagging of the soft tissues of the face. When appropriately cared for, dental implants can last a lifetime. Dental implants are a titanium tooth anchoring system. The titanium is a biocompatible metal, meaning that it will work with your body well. 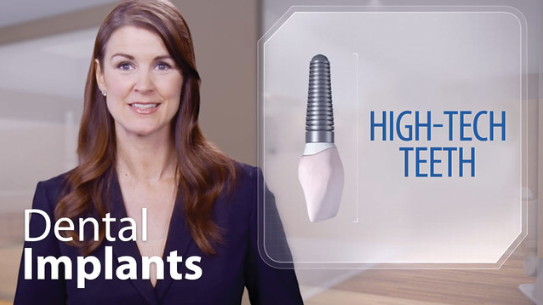 The implants act like tooth roots, but are not susceptible to decay, and the implant is then finished with a crown to be indistinguishable from your real teeth. Implants have become the preferred solution to replace missing teeth because they look, feel, and act the same as your own natural teeth without the risk of any decay. Though implants seem to be a daunting procedure, they are the ideal solution to missing teeth. 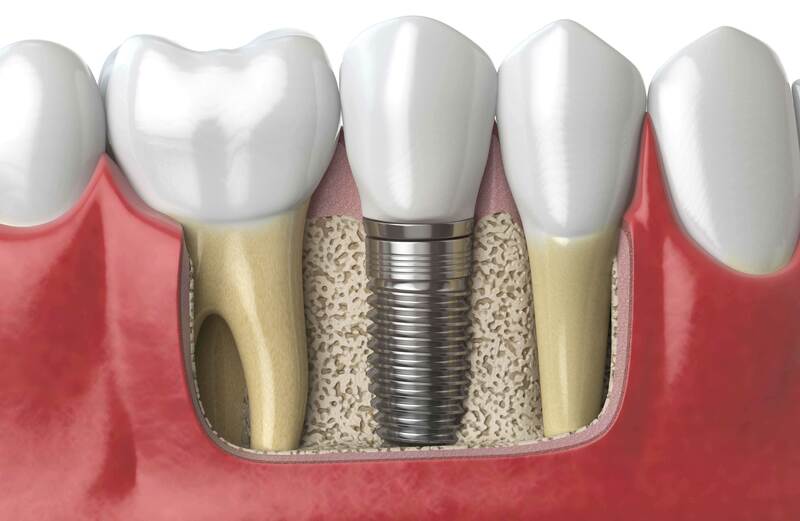 Dental implants are made of titanium and over several months bone fuses to them locking them in place. 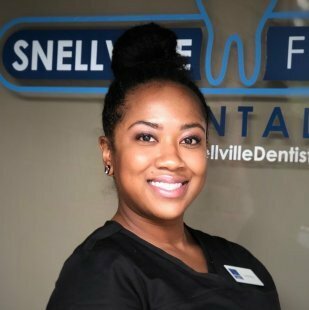 Our Dentists at Snellville Family Dental take special care to make sure that the entire process is as easy and painless as possible. The dental implants we use are shorter than most implants, which is better for patients for many reasons. Shorter implants do not require as much bone grafting as regular length implants, when it is necessary. They are also less invasive in the bone structure and are safer for sinuses in the jaw. Dental implants are most effective to get as soon as possible after a tooth is extracted. When teeth are removed from the mouth, bone loss in the jaw begins to occur, and implants stop this process from occurring even further. When a significant amount of bone is lost following an extraction, a bone graft must be conducted before placing an implant, further slowing the process. Bone loss can also affect the appearance of your jaw line, causing sagging of the skin and the appearance of aging. In addition to bone loss, the longer a tooth is missing, the more likely other complications are to arise. One example is the possibility of a supraeruption of the opposite tooth to the extraction site. This is a process in which the opposing tooth begins coming out of its socket due to the missing tooth not being present to hold it in place. Missing teeth may also cause other teeth in the mouth to shift around, resulting in crooked teeth. Shifting teeth can often cause discomfort and can also lead to a change in the natural bite. Natural teeth and dental implants may look the same, feel the same, and even function in a similar way, but they are very different. The most important differences are in the way they attach to the surrounding bone, their response to dental disease, maintenance, and repair. Dental implants fuse directly to the bone. Teeth are susceptible to dental decay as well as the need for root canal therapy; dental implants are metal and do not decay or need root canals. Ultimately implants look and function just like regular teeth, however they are not susceptible to infection and will not decay like natural teeth. Dental Implants are cared for in the same way as regular teeth: they can be brushed and flossed the same way, but metal tools should not be used on them. What Are the Costs of Implants? The cost for implants will vary depending on the number of teeth getting implants. You should expect about $2,750-$3,250 total cost per implant. Prices listed below do not include coverage that patients may have from their dental insurance. With implants, the total cost is spread out over 3-4 months, sometimes even longer depending on how extensive each case is. For dentures and bridges, the total cost is due by the end of procedure, which is about 2 weeks. Dental insurance will often cover a portion of the dental implants. Insurance companies will usually cover a certain percentage of the visit, often 50%, until the maximum amount of benefits for the year has been reached. Our front desk staff can give you estimated out of pocket costs and check your insurance coverage. However, for a full breakdown of benefits and exact coverage, patients should contact their insurance provider. Additionally, patients should be aware of practices offering $999 implants. Often times this price does not include the price of the abutment or the crown, both necessary for completion of the process. There are several reasons to go with dental implants: No damage to your surrounding teeth, no additional bone loss, you regain the use of missing teeth, and they are a permanent to last a lifetime. However, getting dental implants is a time consuming process that can take up to a year, including any extractions, bone grafting, and the healing process. Hygiene care is also slightly different than real teeth; implants cannot be cleaned with the typical metal tools, and must therefore have different tools used. Alternatives to Dental Implants can cause patients to compromise convenience, like with bridges and dentures. Fortunately with implants, there is no need to sacrifice the structure of surrounding good teeth to place a bridge in place of the missing tooth. 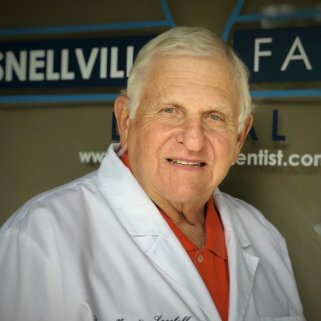 In addition, removing a denture or a “partial” at night may be inconvenient, not to mention that dentures that slip can be uncomfortable and rather embarrassing. implants are durable to last a lifetime, while looking and functioning like natural teeth. Most patients have minimal discomfort with the procedure itself. 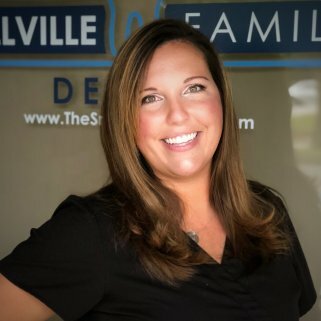 Local anesthesia is usually used while placing an implant, and any soreness after the implant placement can usually be treated with over-the-counter medication. The Doctor may also prescribe antibiotics to regulate any infection that may occur. Unlike dentures or dental bridges, Dental Implants offer a long-lasting solution for missing teeth. Implants normally last a lifetime while a bridge or denture typically will last 5-10 years. 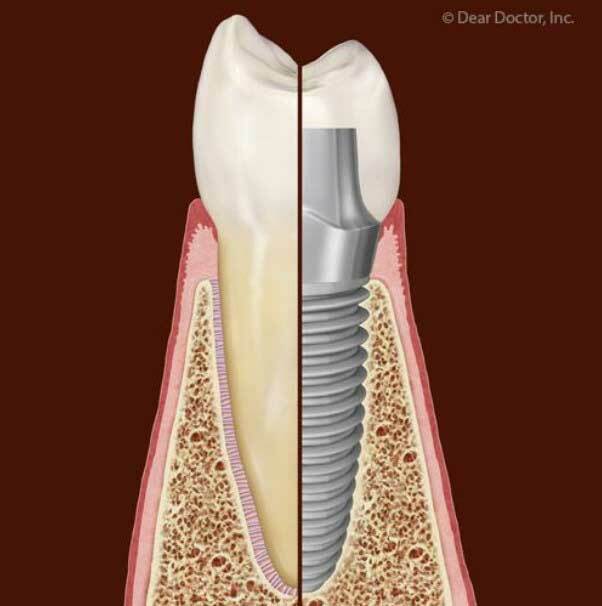 On occasion, the crown portion of the dental implant requires repair but the implant portion should last a lifetime. Implants do not need to be removed when you eat or sleep. They are cleaned in the same way you clean your natural teeth. Dentures can often shift in the mouth when eating causing pain or embarrassment, whereas Dental Implants do not move. Implants will also never need a root canal or get cavities! Implants look and feel just like healthy, natural teeth. When replacing missing teeth with implants, you will be able to have a full smile again, allowing you to smile with confidence and not hide your smile. You will also find confidence when it comes to eating in public and taking pictures. Since implants are not removed like a denture, you will always be able to eat when and whatever you want. No more worrying about having to put your dentures in or having them slip mid chew, causing pain and embarrassment. Your implants will also be there whenever it is time to take pictures. Dental Implants can restore your smile to something you can be proud of! Implants are easy to take care of and have none of the annoying hassles that come with dentures. No more food getting caught under your dentures or having to remove them to soak overnight. 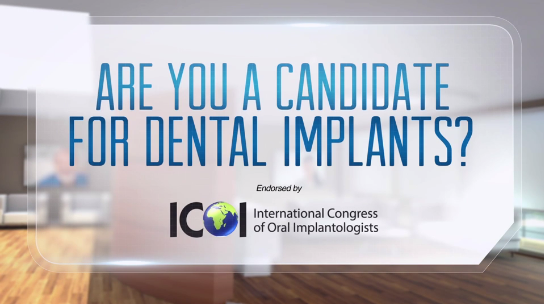 Implants are easy; they require no special care beyond your normal teeth. 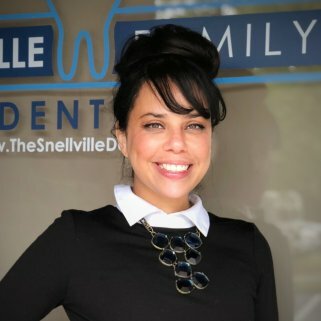 Just brush and floss your implant teeth like your natural teeth and get your teeth cleaned every 6 months at the dentist. With proper care, implants should last a lifetime. Another benefit of implants over dentures is that you will also wake up with a full smile: no more having to put dentures into your mouth in the morning. Dental implants commonly take up to a year and a half to complete the process. This timeline typically begins with an extraction of the decayed tooth. During the removal of the tooth, the procedure sometimes requires bone grafting to compensate for the bone loss due to the decayed tooth. Once the area is healed from this procedure, the Doctor will place the implant and give that time to heal. 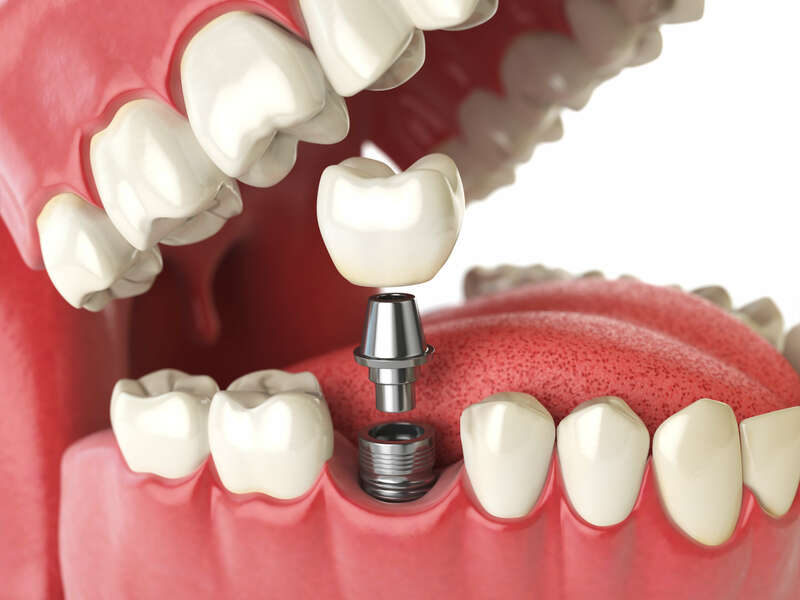 Occasionally an extra step will be required to attach the abutment to the implant, but in other cases this can be attached to the implant when the post is placed. After the surface heals, impressions are made of the implant and surrounding areas so the crown can be made. The crown is a fake tooth made of porcelain to cover the metal implant that can be removable or fixed; it looks just like your real teeth, except it will never decay like real teeth. Though rare, dental implants can fail, which could add another 2-3 months to this process; however this is generally not an issue as long as patients practice good oral hygiene, like not smoking during the healing processes. Most patients who have general good dental hygiene are eligible for dental implants. Patients should have relatively healthy gums and go to routine dental cleanings. Ultimately eligibility is up to the Doctor, however complications are more likely to arise in patients who: have diabetes or heart disease, have been exposed to radiation therapy near the head, or have a history of smoking. When it comes to a single missing tooth, dental implants are hands down the best approach to replacing a tooth. This is because implants do not cause any damage to the teeth surrounding the missing tooth. 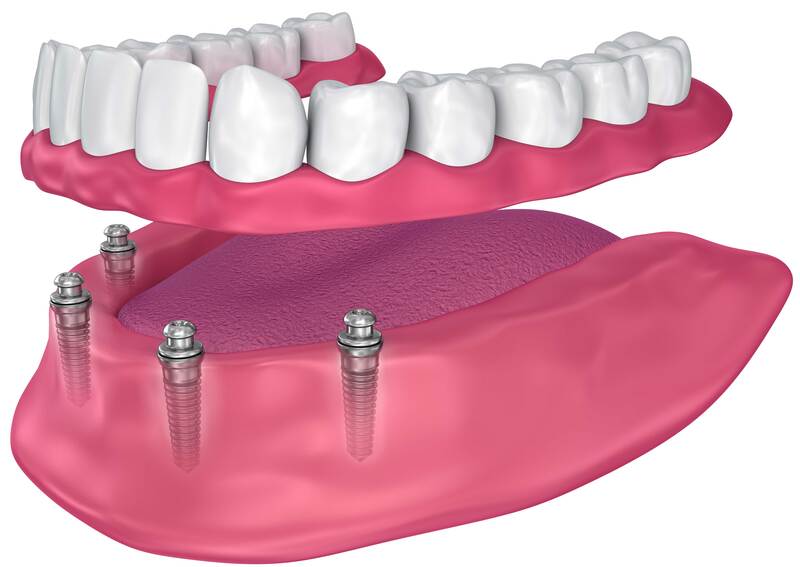 Implants are a better alternative for dental bridges because if a bridge is placed instead of an implant, the teeth on both sides of the missing tooth must be altered to allow crowns to be placed for the bridge. 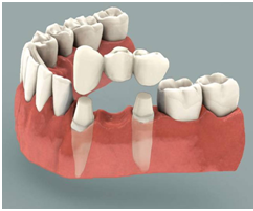 Dental Implants also lead to reduced bone loss in your jaw over a dental bridge. Since the implant is placed into the bone where a tooth is missing, the bone will maintain its strength and structure once fused to the implant. On the other hand, a dental bridge does not go into the bone. This causes the bone under that tooth to recede, which can lead to further problems down the road, such as shifting other teeth. meant to last a lifetime, unlike bridges which require maintenance and often replacements over time. If you have dental insurance, usually both options may be covered by your plan. Contact our office to find out if your insurance will help cover this procedure. Dental Implants, while quite bit a more expensive than partial and complete dentures, offer many added benefits and conveniences over dentures. Like bridges, dentures can lead to severe bone loss in the jaw since that bone is no longer being used. As bone loss occurs, such as with a denture or bridge, the skin on your jaw and cheeks will begin to sag, adding many years to your appearance. Implants can maintain your youthful look, while allowing you to have fixed teeth! Since implants are fixed in the mouth, it is not necessary (or possible) to remove them for cleaning or sleeping. Just brush and floss regularly and visit your dentist every 6 months to have your teeth cleaned. Implants, with proper care, can last a lifetime, while a denture may only last 5-10 years. This can lead to reduced cost over time if you are not having to replace your denture. Dentures also have the potential to shift around in the mouth and cause discomfort, whereas implants do not shift at all. If considering a complete denture, a full mouth of implants would be rather cost-prohibitive. Implant-Supported Dentures are a viable option for dentures while avoiding the potential problems of traditional dentures. In this procedure, a few implants are placed strategically around the mouth and then the denture anchors to the implants. With an implant supported denture, there is much less bone loss than with a traditional complete denture since the implants will still make use of the bone. The implant-supported denture will also be much more stable when eating. Dental insurance may help reduce the cost of partial dentures, implants, complete dentures and implant-supported dentures. Contact our front desk staff to find out more about your insurance coverage. How long do they last? 5-10 years Implant is lifetime. Crown should be 10-15 years. For patients who require special maintenance on their dental implant, the Doctor may recommend using a bridge cleaner, water flosser, or peridex to maintain a clean and healthy mouth. 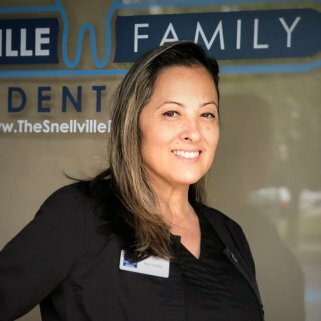 Snellville Family Dental has placed many dental implants over the years. 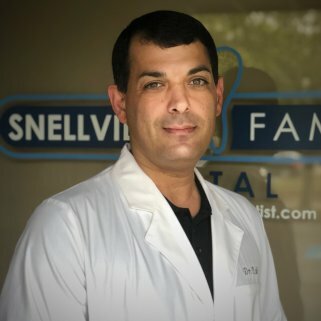 Dr. Nabi work with his team of experienced and professional dental lab technicians to give you all of the information you need to make the right decision for you. They will sit down with you and explain everything you need to know, and discuss costs with you. 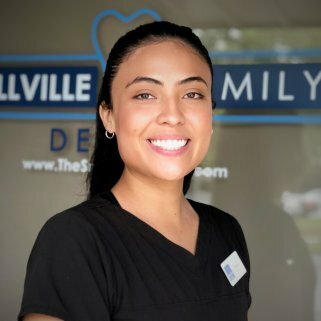 If you want to learn more about dental implants, or any of our other dental restorative procedures, ​Contact Us​for all of your Dentistry needs. 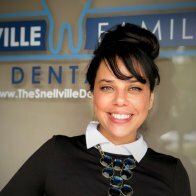 Step 1 Schedule a FREE consult with our Snellville Dental Office. Step 2 Place the Dental Implant. After the implant is placed the body needs about 3 months to accept the implant and secure the dental implant to the bone. If bone grafting is needed, the graft will be done at the same time as the dental implant is placed. Step 3 Place the Crown. After the body has healed and accepted the dental implant, a dental crown will be prepared by our dentist and placed on top of the dental implant. Step 4 Enjoy your new smile!